I'm a 53-year-old grandmother. What am I going to talk about, who's your baby's daddy? Are you serious?' asks the legenndary singer. 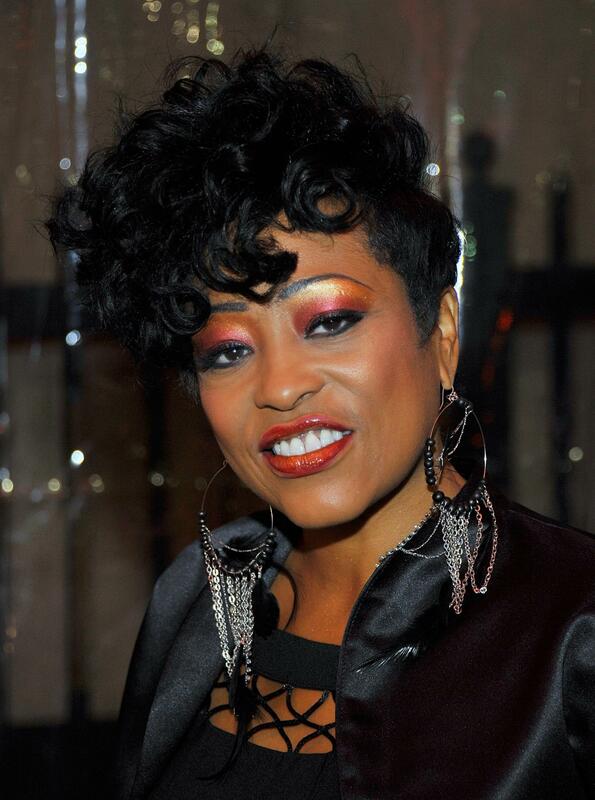 Who is Miki Howard? It’s a question that has flooded the Internet this past week and a half following reports that there was “a 99.9999% probability” that her son, singer Brandon Howard, was sired by the late King of Pop, Michael Jackson. (The lab where the test was done turned out to be fake). If you’re an R&B lover, you’ve long been aware of the Grammy-nominated singer who gave us hits like “Love Under New Management” and “Ain’t Nobody Like You.” Now 53, Howard is working on her 10th studio album, Something Old, Something New…, and is ready to quell rumors that she has a son with the King of Pop. “I am not Billie Jean,” she protests. This last week and a half must have been a roller coaster for you and your family. Did you know the DNA test was happening? Miki Howard: No. Of course not. I didn’t know anything. I have grown children. They’re over 30 and they do their lives and everything. I had no idea. I just turned on the TV. So I thought, whatever it is, it’s just some junk; it’s going to blow over. And then it kept going. I was just very hurt. What exactly hurt you about it? I don’t want to be introduced to people that have never heard of me as being this. I don’t like that. And then the people around me that I personally know, became, you know, real opportunists and weird. It’s been awful. How have your conversations with Brandon been? My concern is that he’s safe and that his mental health is good. Whatever that stuff is going around, it’s going to die. People are saying really bad things, and it’s just—you hate to see your children hurt. You put out a very interesting statement though where you said you had signed a nondisclosure agreement with the Jacksons? What does that mean? We have those. So do a lot of people. Because in this business as a family, you create a family of artists, you know. Like most people do, you have your pretend aunts and stuff, and most of these people are famous. And we have nondisclosures because if you start talking about people’s personal business, it starts this kind of stuff. The Jacksons are good people. I’ve known them for many, many years. You just have [non-disclosure agreements] when kids are around and you’re intermingling with each other’s lives personally. And you may see something that they don’t want disclosed or they may see something that you don’t want disclosed. That’s all that is. Is that how it works in Hollywood? Yeah. It’s because when media gets things—and it’s coming from like the housekeeper, maybe a personal assistant, and they’re telling their business. I don’t want to be known for that. I have worked too hard. My career is 35 years old. I’m a real craftsman. And this is what I present to the public. If we start getting into my private life, a pen and a pencil ain’t gonna help. From then, from recently. Not that long ago, because Brandon started to put out music and people were always asking questions. So we did that then, like maybe two years ago because I don’t want to be talking about this. One day maybe things will go over and maybe people will feel differently or whatever. Everybody will sit down and we’ll say what’s happening. And then maybe there’ll be a time when you could find out. But what is really good to find out is that those are good people. Mr. Jackson did a great job. Brandon was photographed out with LaToya Jackson this week. I just don’t—I don’t want to cry. Because it’s so beautiful. People try to make something nasty and terrible and that’s why, you know, you don’t want to do that. The man claiming to be Brandon’s father, Augie Johnson, has come out saying that Michael Jackson didn’t even know you. Is that accurate? I can’t make any statement regarding to what that man is saying. I have no idea what he’s talking about. This opens up cans of worms and memories and things that have no business being discussed in public. There are people who say Brandon looks like a Jackson. Yeah, whatever. [laughs] I know he’s my son. And I know that I’ve been the father for the last 30-odd years. OK? I know that I’ve been the one that’s supplied every emotional need, every financial need, every physical need. So the whole question is really and truly—it’s like get the f**k out of here. 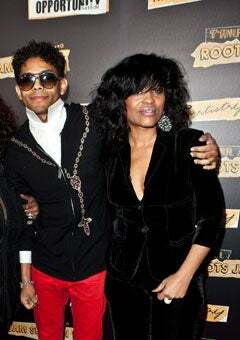 Have you spoken to the Jackson family during all this? No. I haven’t spoken to anybody. I’m not interested. Personally I wouldn’t have made a statement. I don’t care. I already know what’s happening. I’m a 53-year-old grandmother. What am I going to talk about, who’s your baby’s daddy? Are you serious? [laughs] Ask me something else. I’ve been doing this for 35 years. Ask me how many records I’ve made? I’ve been under the radar enjoying my life. You’re working on a new album. The entire project is going to be 5 EP’s because there’s too much music. We did a live album basically. A lot of the older songs, the hits that I had, are on there. “Come Share My Love,” “Baby, Be Mine,” “Until You Come Back to Me,” “Love Under New Management,” “Ain’t Nobody Like You.” They’re all on here. The first single is a song called “Panther” and it’s sort of a woman’s anthem about—well, certain women because I’m a mature woman. It’s about growing past the cougar and being a panther. It’s about being strong and being a warrior and really taking care of yours and feeling good about it. That’s why this mess is really a thorn in my side. I’m like, I’m too independent for this. How would you describe the album? I’d say it’s like food. It’s like a wonderfully rich caloric great meal. It’s something that when I play it for people, they say, oh my God, I feel like I just ate a good meal. We recorded live—real horns, real singers. We had layers and layers of vocals and it’s real work. So, you are not Billie Jean! I’m not. If anything, I’m more Billie Holiday than Billie Jean, baby.